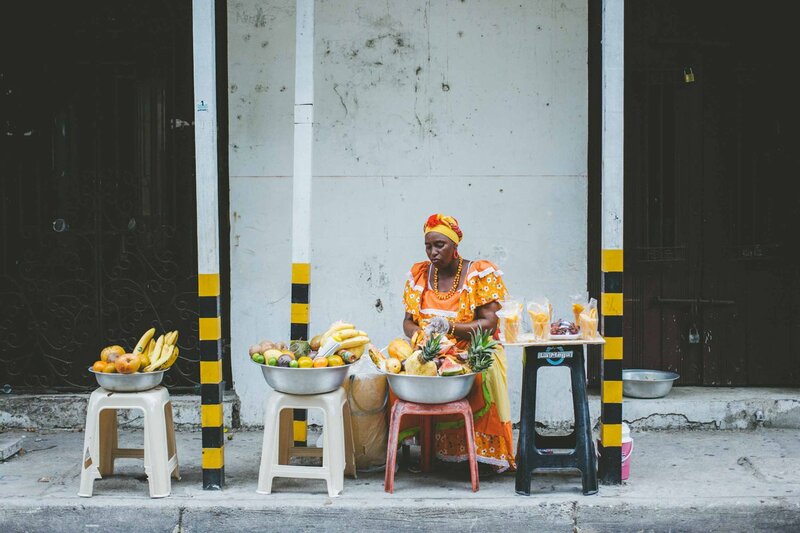 A local fruit vendor. All photos by Marianna Jamadi. Last time we checked in with the ladies behind El Camino, they were surfing the Emerald Coast of Nicaragua. 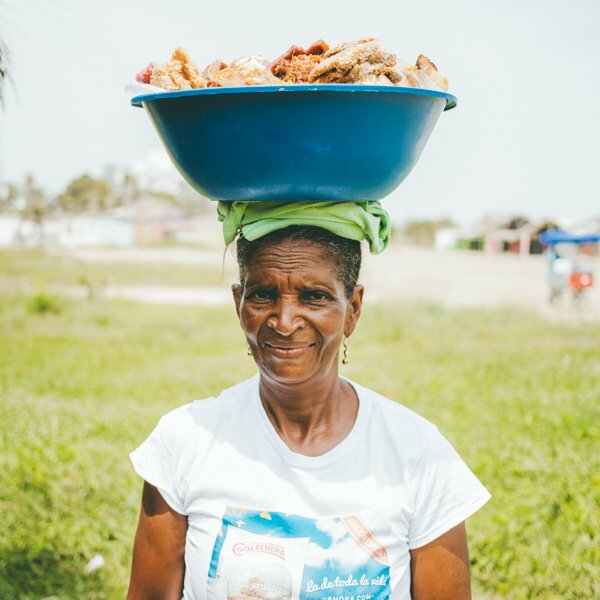 This time, the tour company took a small group on a picture-perfect trip to Cartagena (with the help of professional photographer and co-founder Marianna Jamadi). 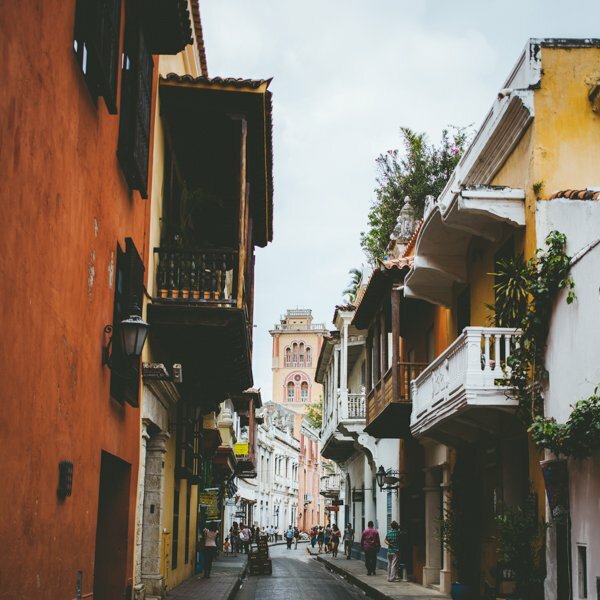 CARTAGENA, Colombia – You can't really take a bad photo in Cartagena. 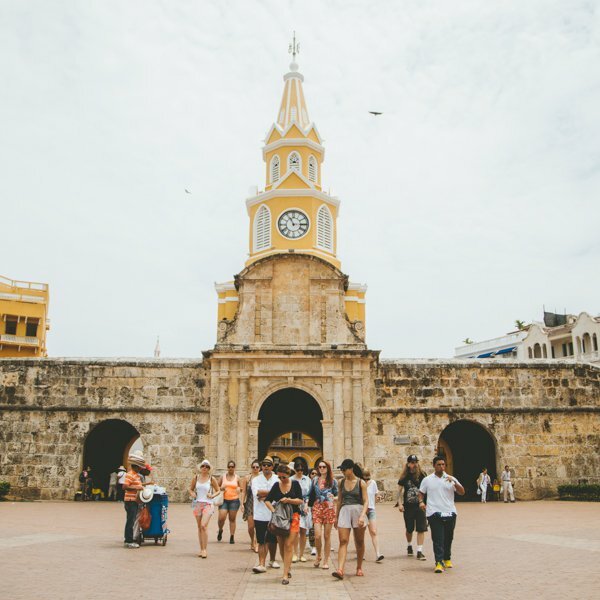 While the Old Town is ripe with beautiful Colonial architecture and bright, bold walls, there are plenty of opportunities to venture beyond the well-worn paths. 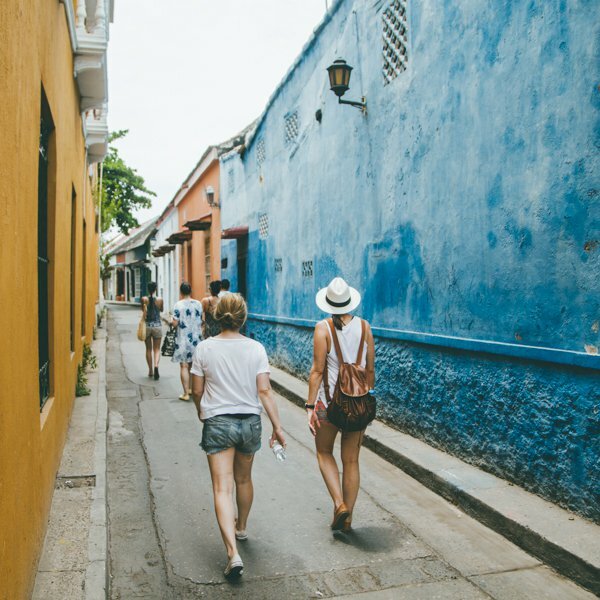 Exploring both inside and outside the city walls on our El Camino journey proved to be culturally rich and palpably colorful. 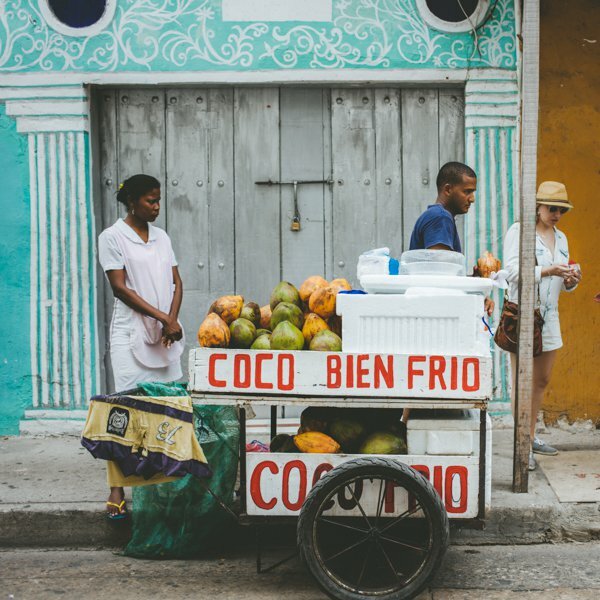 We searched the streets for fresh fruit juice stands, learned how to salsa at Ciudad Móvil in the Getsemaní district, ventured into crystal clear waters beyond Isla Grande, and dipped into a volcanic mud bath. 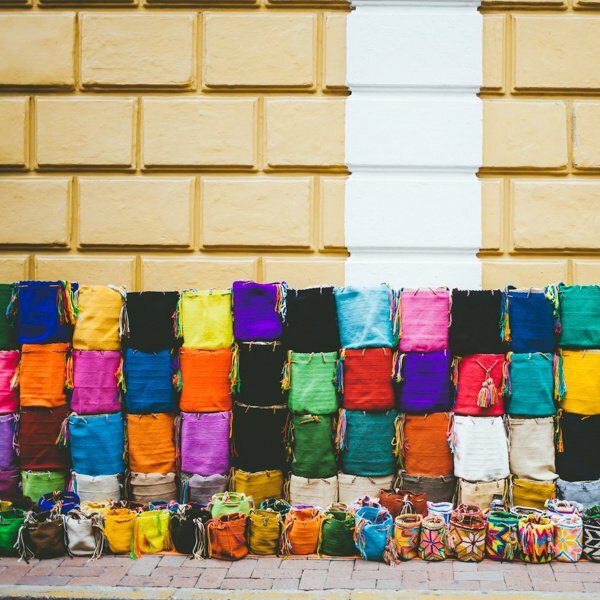 Street vendors sell these colorful satchels all throughout the old part of town. Visit a few vendors before making a final purchase. Prices and styles vary. Take salsa lessons or learn the local dance moves of Champeta. This photogenic clock tower is located at the main entrance to the city. Opening up to a plaza with constant hustle and bustle, it makes for the perfect meeting spot. 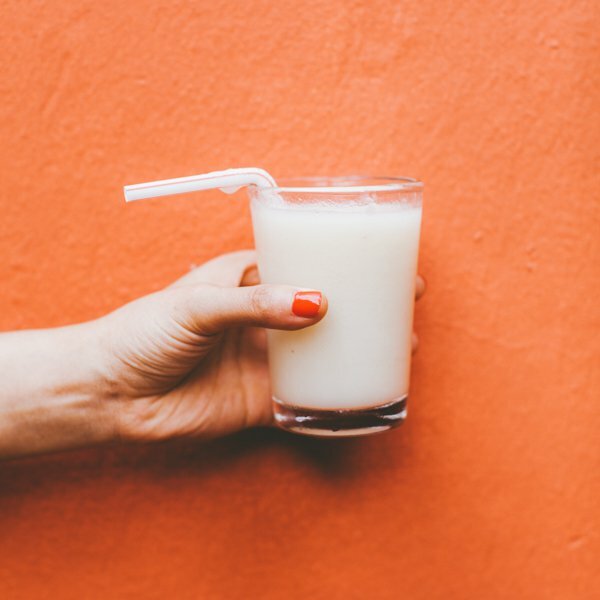 Coconut is used for and in everything, as evidenced by the variety of treats for that tropical sweet tooth. Near the clock tower, nestled under a gallery of arches, are vendors selling all kinds of typical desserts. The area is known as Dessert Alley. Try the tamarind balls. There are several plazas throughout the city that offer outdoor dining. By nightfall, much of the heat has cooled and you can truly enjoy the ambiance of the city. 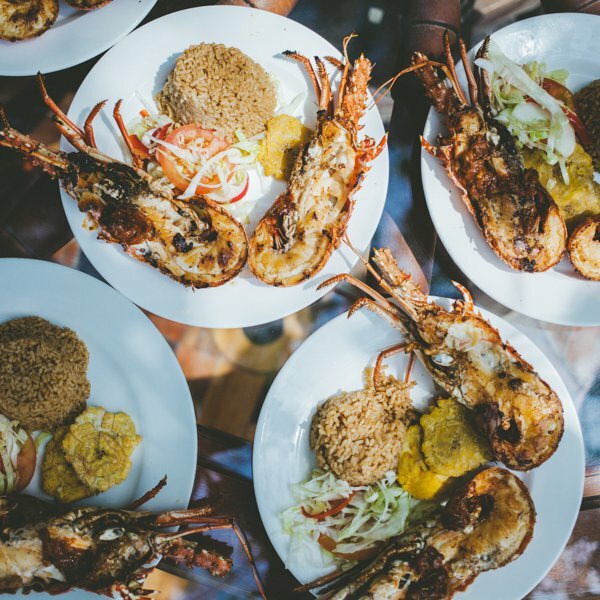 Since Cartagena is on the Caribbean coast, seafood is plentiful. 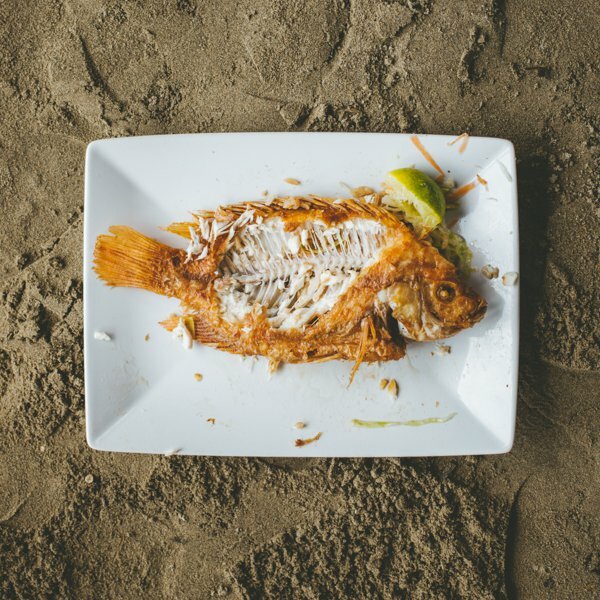 This fried fish was devoured on the nearby beach of La Boquilla, an area known for fishing. Fresh coconut water is readily available on the street and provides much-needed refreshment from the heat. 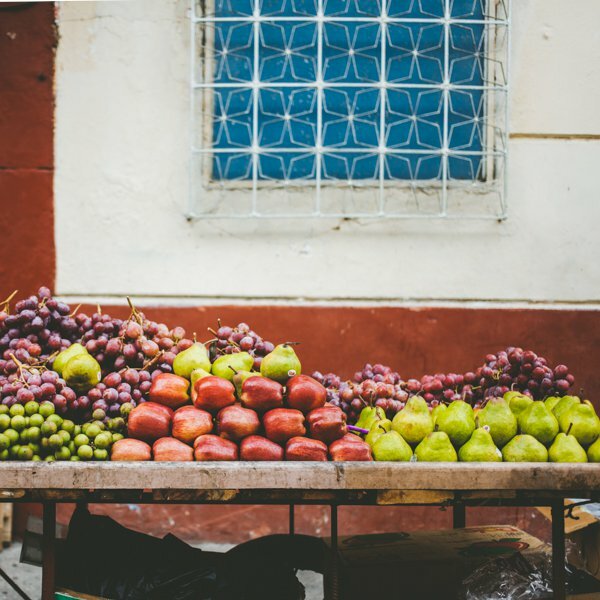 Fruit is everywhere in Cartagena. Be sure to try the kinds you've never heard of: lulo, mora, or maracuya. 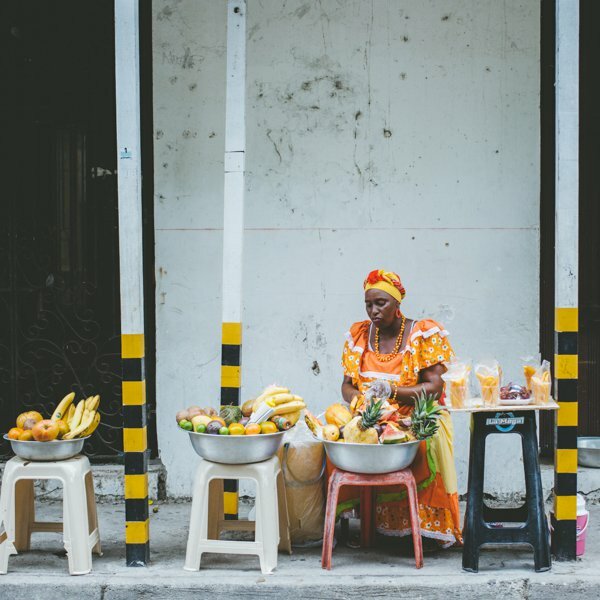 These fruit vendors line the streets in gorgeous outfits. If you want to take a picture, you'll have to purchase fruit or tip them. It's worth it. 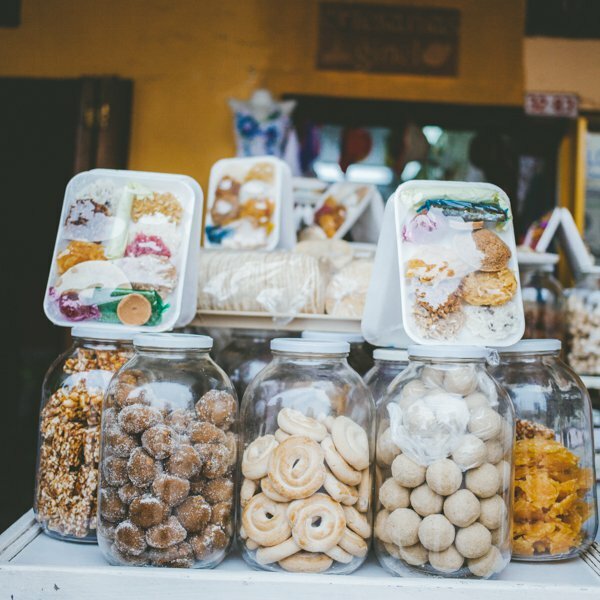 La Paletteria is a must. Find an enormous variety of artisanal gelato pops in every kind of flavor imaginable. 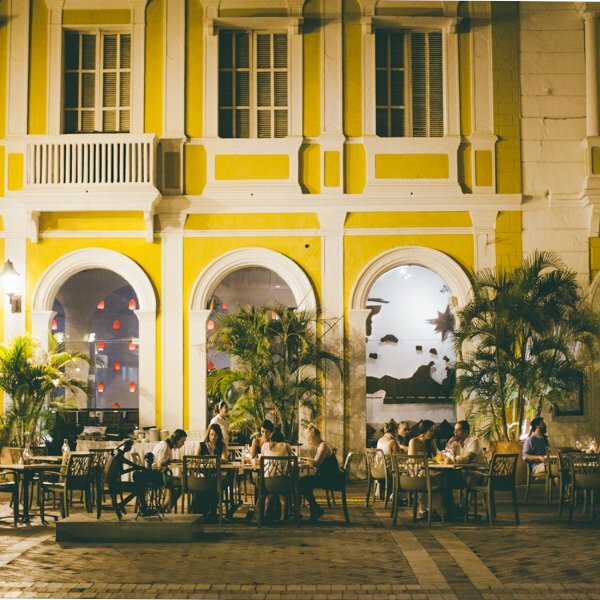 Just outside the city walls is an up-and-coming district called Getsemaní. 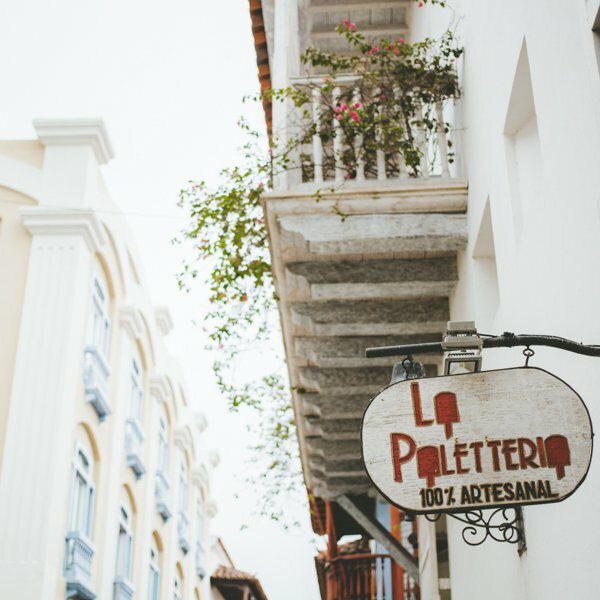 It's filled with colorful walls and quaint streets that are great for exploring. 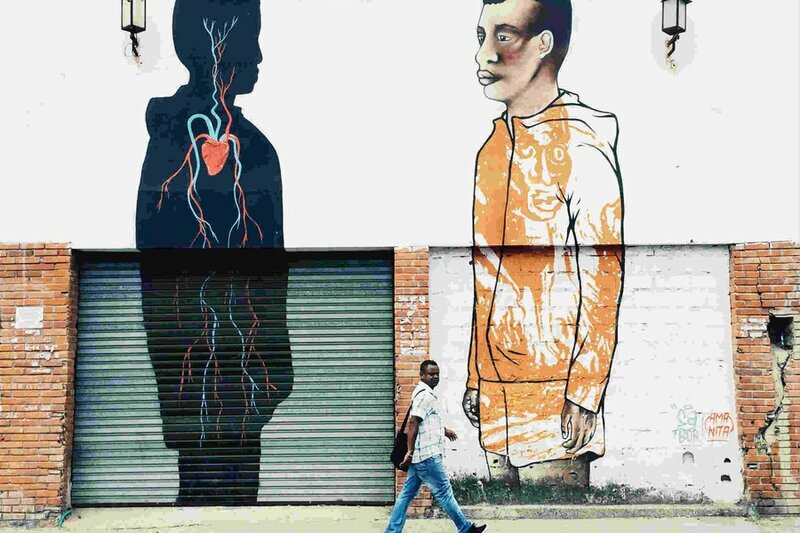 Getsemaní is also known for its amazing street art. Wander to find large-scale pieces throughout the neighborhood. A 45-minute boat ride out of Cartagena will take you to the clear waters of Isla Grande. Daily fresh juice! Pure luxury. The seafood is great here. And fresh lobster is always difficult to pass up. In the mood for lunch or dinner in style? 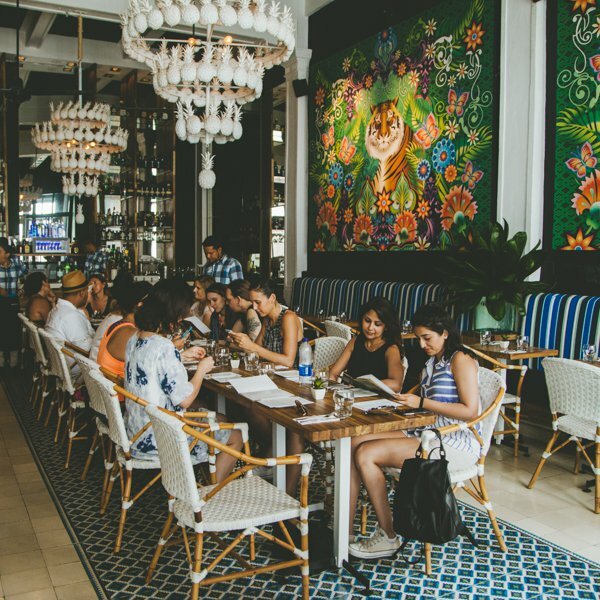 Head over to Maria for fine dining and a hip ambiance (including a chandelier made of pineapples). Spend a day just wandering around and enjoying the architecture. Streets are lined with balconies that seem perfect for a Romeo and Juliet reenactment. About 30 minutes outside Cartagena proper is El Totumo, a volcanic mud bath not to be missed. Be prepared to get dirty while locals lather, massage, and then thoroughly rinse you off in a nearby river. 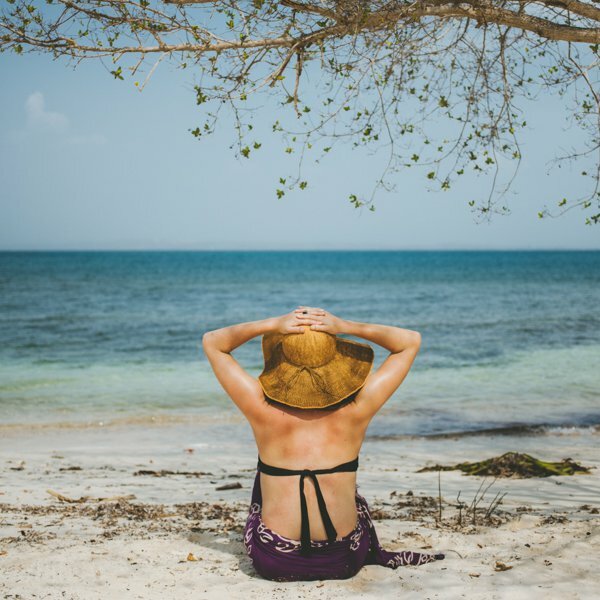 Relax and escape the heat in the Islas Del Rosario, an archipelago comprised of 30 islands off the coast of Cartagena. Mari is a nomadic photographer and documenter. You can follow her on instagram at @nomadic_habit. She travels for the difficult and beautiful moments that cause her to grow.